I'm sorry Siri, it's just not working between us right now. It's not you, it's me. Actually, it's Cortana, and I'm just not sure if there's room for two digital assistants in my life. I hope you'll understand. Cortana is the latest voice activated artificial intelligence to be featured in a smartphone, and Microsoft's answer to Siri and Google Now. I spent a bit of time playing around with the digital assistant on the Lumia 930 today, and actually I'm pretty impressed. Firstly, the voice recognition is pretty good. I know I speak too fast (and I have a bit of an accent), but Cortana was still able to keep up. I tried out the voice recognition in a crowded restaurant when having dinner tonight and I was still able to set a reminder to write this blog. In addition to this, Microsoft haven't forgotten to provide the virtual assistant with a few sassy responses. 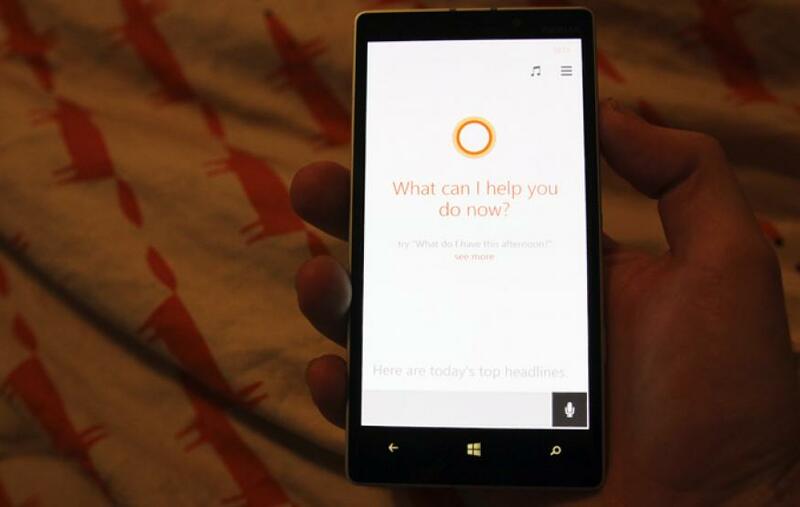 Asking Cortana "will you marry me" results in an answer of "OK, we'll need a plan. I'll work on being more human, you work on being more digital". When asked "who's your daddy", Cortana retorts with "technically speaking, that'd be Bill Gates. No big deal". My personal favourite was the AI's response to "am I beautiful". While I don't need an app to validate my looks, "Let me put it this way: there's nothing visual basic about you" certainly made me giggle more than it should. Ah, programming jokes. Users can ask Cortana to set a reminder based on their location, which is quite nifty, and seems to work better than Siri's implementation. For example, you can set your home address in Cortana's notebook, then ask her to remind you to give your mum a call when you get there. Location recognition seems fairly accurate, and seems to trigger when you're roughly 30-45 metres away from the destintation. Another pretty cool feature is the ability to set reminders based on people, rather just time or place. For example, I can tell Cortana to remind me to congratulate Charlie on another great radio show next time he calls me. Then when I get a phone call from Charlie, there'll be a note under his picture with the reminder (on either WiFi or cellular). Cortana also provides a few bits of functionality similar to Google Now. When you use Cortana, she asks you a few things about yourself such as what you like to do in the evening after work, and what kind of news you like to read. This is information is then used to personalise and populate the app. So for example, when I open Cortana, I've got quick access to breaking news, local weather and restaurants near-by. Apparently, the more you use Cortana the more she learns, meaning the content you're provided with is more relevant to you. Cortana is the best of Google Now and Siri, but with a little bit more functionality; Cortana feels like a digital assistant worth using. As I mentioned a couple of days ago, Cortana isn't officially available in the Australia version of Windows Phone 8.1 yet, but can be enabled by swapping your location to US. I've also been exploring a bit more of the Lumia's feature set, and there's some really nifty features that you won't find on the iPhone. Two of today's highlights were Data Sense and Kid's Corner. The Data Sense app keeps track of how much data you've been using, across both cellular and WiFi. In addition, you're able to enter your mobile data limit and when you reach it, it will prevent further usage. Handy if you've got a habit of going over your cap! Kid's Corner is a feature unique to Windows Phone which allows users to setup a second start screen for their children to use. Users are able to choose what apps their kids can use, without allowing access to personal data or "phone capabilities". While I don't have kids yet, I can see this being a great feature for those who do! Again, if anyone has any questions, please feel free to ask!